“What I did was the right thing,” according to Oakland Mayor Libby Schaaf. What she did was warn illegal immigrants in the Bay Area last weekend that an ICE raid was forthcoming. "I am sharing this information publicly not to panic our residents but to protect them," she wrote in a statement Saturday. ICE Deputy Director Thomas D. Homan called her actions "irresponsible." Thanks to her warning, who knows how many of the 864 criminal non-citizens were able to elude authorities, he wondered. Yet, Schaaf shared a follow up statement noting that she had "no regrets" about sharing the information. In a press conference Wednesday, she even suggested it was a noble act. She went on to argue that she gave up "no specific information" that could endanger law enforcement. California has been especially defensive of sanctuary cities, even after the murder of Kate Steinle in San Francisco in July 2015. Steinle, only 32 years old, was killed by an illegal immigrant who had been deported five times previously. He had found shelter in San Francisco because its sanctuary city status convinced local officials they did not have to comply with ICE. The Trump administration has informed officials in California and elsewhere who are thinking about making their localities "sanctuaries" that they may be subpoenaed. Last week, Trump said he was considering removing his ICE agents from California completely and see how soon the state begs him to return them. 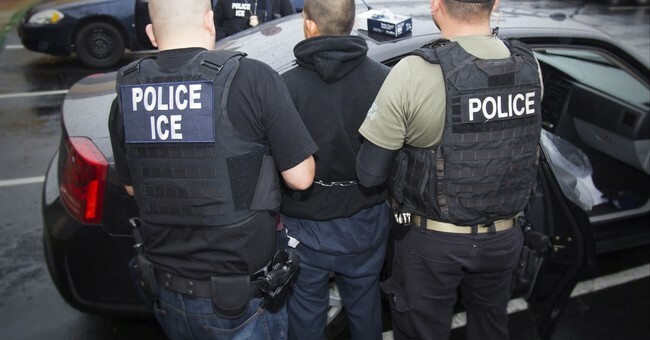 ICE has conducted several surprise raids in the past year. One raid that took place overnight in 7-Eleven stores across the country resulted in 21 arrests. The DOJ is currently reviewing whether the unrepentant Schaaf has broken any laws. In January, she said she'd be willing to go to jail for her cause.